A quick one on FKLI. This morning saw a breakdown of price below the hourly uptrend line, which has been supporting the rally from 1,608 low. Also, price is now below the consolidation bottom support around 1,696. Notice that at current close of 1,694 at midday break, daily MACD is undergoing a bearish crossover, we shall see a confirmation once we get a lower close for today. 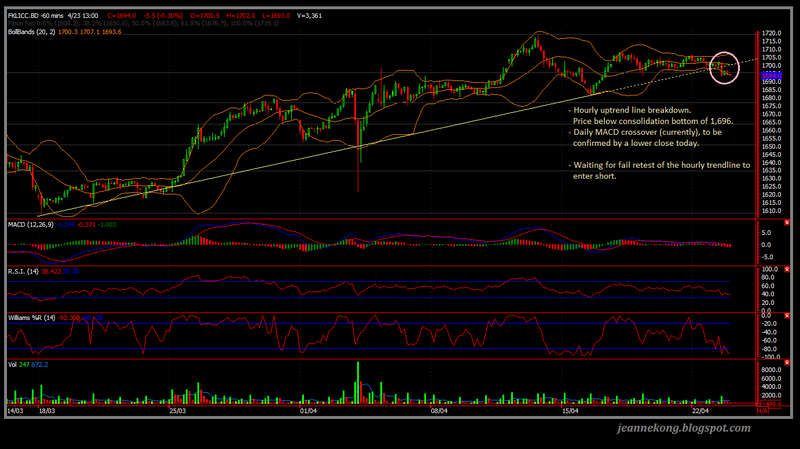 I'm waiting for a retest of the hourly uptrend line from below/1st retracement high to enter short. 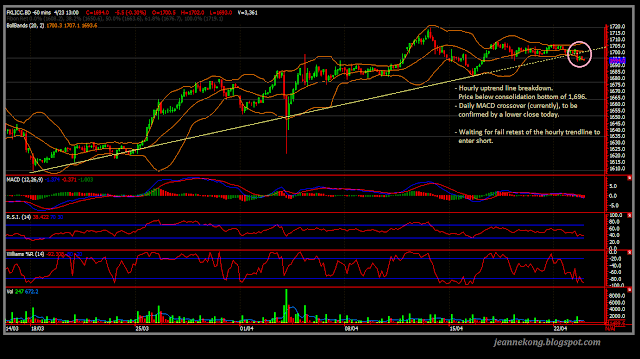 FKLI - Hourly Uptrend line breakdown, Below 1,696 consolidation bottom support. My Trading Journey - How & WHY I Trade? FCPO - How I made 1-mth salary in 1 trade ! Theme images by DNY59. Powered by Blogger.